This shower is just way too neat not to do a blog post about it! It is a radiused shower in which we began with a 4 depression in the foundation when we originally poured the concrete. As you can see in the video, this allowed us to create a smooth transition from the bathroom floor to the floor of the shower that is absolutely perfect! No thresholds or steps to contend with. As a side note, this is also a Universal Design principal that would allow a mobility impaired person to easily access the shower. On the walls, we used Vein-Cut Travertine Planking that is 4 by 36 and we staggered the horizontal joints. For the floor, the owner decided to use gray pebbles and as we contemplated the height of the interior walls of the shower (9 feet) we decided to run a random and varied width ribbon of the pebbles across the shower walls. The end result is just beautiful and this is a truly unique shower. In the video, you can see how we softened some corners of the Travertine and we bullnosed (or rounded) other corners of the Travertine. In this still photo, you can see how we created the pattern and borders to terminate our Travertine to allow for the ribbon of pebbles on the wall. One of the wonderful things about working with natural stone instead of Porcelain, is that with natural stone, you are only limited by your imagination as to what you may want to do with it, as there is total consistancy throughout the material. Even with colored porcelain, you typically have a stamped pattern on the top of it and this can somewhat limit the things that you can do with the material itself. This shower is probably in the top four of the most beautiful and unique showers that I have created and it is certainly a shower to be proud of. 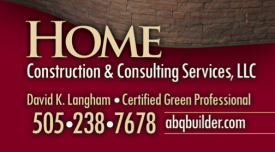 This home will actually be in the 2011 Fall Parade of Homes, in Albuquerque, New Mexico.